Change management is done through culture. You’re checking the most important box – getting a plan in place that, when executed, will propel your organization to the next level. However, many organizations are failing to run the proper diagnostic before implementation to make sure all your assumptions are, in fact, true and in working order. Optimizing your plan is imperative, but execution in 2018 looks bleak without optimizing your workforce first. 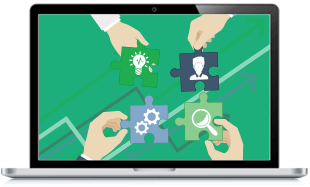 In this webinar recording, Tanya Bakalov of BetterSkills, Inc. discusses how to achieve the most success with your plans for 2018 by giving three ways to fully assess the teams you’re trusting to execute. Having trouble downloading, or don’t see the form? Click here to email us and we’ll help you out. 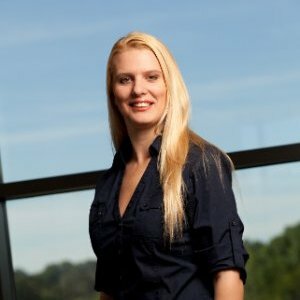 Tanya Bakalov is the Founder and CEO of BetterSkills, Inc., a Boston-based SaaS company that provides a dynamic next-generation solution for organizational visibility and employee engagement. Prior to founding BetterSkills, Bakalov’s career included a variety of leadership roles in business operations, go-to-market strategy, corporate development, organizational hiring, SaaS and enterprise and software solution selling. Tanya co-founded SevOne, a digital infrastructure management software company in 2005 and ushered the company's growth to over 500 employees worldwide and more than $80M in revenue. Tanya was named a Silver Stevie Award winner for Female Executive of the Year in 2014, UDE Alumni Excellence Award winner for 2016 and the prestigious E&Y Entrepreneur of the Year Award winner for 2016. Copyright text 2018 by AchieveIt.